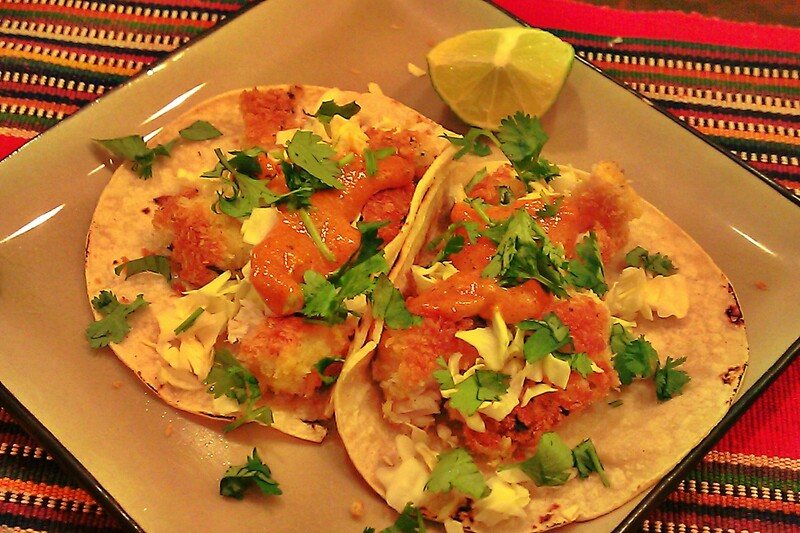 THE most delicious fish tacos you’ll ever eat at home. Serves 4. In a small bowl mix the salt, pepper, cayenne and oregano. Season fish with salt and pepper mixture. 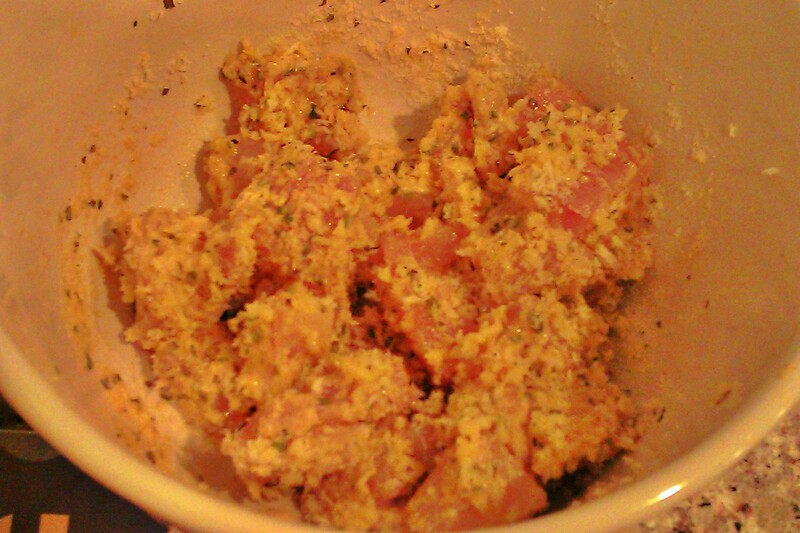 Put Panko crumbs into a medium bowl and toss the fish chunks in the Panko until covered. In a large skillet heat oil to medium and fry the fish chunks 3-4 minutes each side until cooked through and outside turns to a crispy brown. In a non stick skillet (preferably an iron skillet) heat tortillas over high heat and flip every few seconds until soft. Serve fish hot in warmed tortillas topped with the Aioli Sauce, cabbage and parsley with lime wedges. I substituted cilantro for the parsley and liked it a bit more! Sweet! I find cilantro is a much more flavorful substitute to parsley. I think mahi mahi might be a Hawaiian fish but maybe it’s just the name. Uncooked it’s pinkish-white in color but once cooked it’s white. Any white flaky fish would do for fish tacos. Tilapia would work nicely. I forgot about these tacos I think it’s time to make them again! This makes me miss South Florida and fresh caught Mahi! YUM! Ooh, we still have some mahi mahi in the freezer from when my husband went deep sea fishing, can’t wait to use it in this! Mexican food in Paris? Would love to go back (not for the Mexican food) – it’s been 22 years too long.